He allegedly stole scripts and plot summaries for "Game of Thrones," as well as confidential video files containing unaired episodes of HBO shows including "Curb Your Enthusiasm," "The Deuce" and "Ballers." A government spokesman said Mesri, who prosecutors say had previously hacked computer systems for the Iranian military, is not in custody at this time. Although he isn't in custody, "he will forever have to look over his shoulder until he is made to face justice," U.S. Attorney Joon H. Kim said at a press conference Tuesday. "This is a reminder that our country and our businesses remain prime targets of hackers around the world. Today's charges make clear that nation states like Iran routinely employ alleged criminals, mercenaries like Mesri to conduct network attacks ... in America and elsewhere," Kim said. 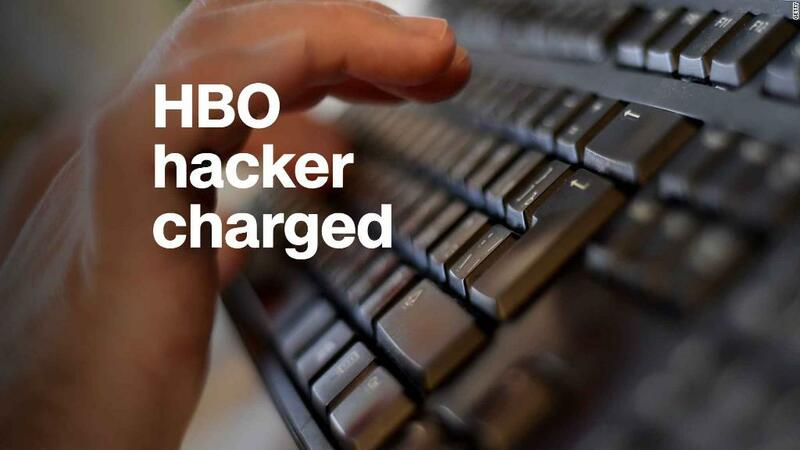 The cyber intrusion dealt a serious blow to HBO in July and August. The illegal leak of TV episodes, as well as an email system breach, created weeks of uncertainty within the company. According to the indictment, Mesri, aka "Skote Vahshat," engaged in the hack attack in the spring. He allegedly orchestrated a hacking scheme in an attempt to extort the company for $6 million worth of bitcoin. HBO and CNN are corporate sisters. Both units are owned by Time Warner (TWX).